Hot dogs are as American staple so it's only natural that they would appear on your July 4th menu. While a simple hot dog served plain has it's merits, a special occasion calls for a special hot dog. Like the burger, hot dogs are a blank canvas that go well with so many other flavors. Think beyond ketchup, mustard, relish and onions and instead go for bacon, avocados, grilled onions and cilantro. 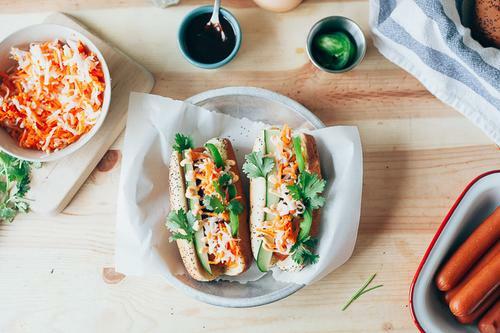 These five recipes will give you delicious ideas of all the tasty ways you can serve a hot dog. These hot dogs are served in an untraditional bun; they are tucked into soft pretzel dough and baked. You can choose to serve these hot dogs plain or add other ingredients with them before wrapping them up. Steak, hot dogs and cheese equals deliciousness in my book. These Philly cheese steak dogs combine two favorite American dishes into one. You can use either cheese whiz or a cheese sauce made from scratch for these dogs. The Southern hot dogs are dunked into cornmeal batter and deep fried. Instead of ketchup or mustard, they are are topped with a tangy homemade collard green relish. 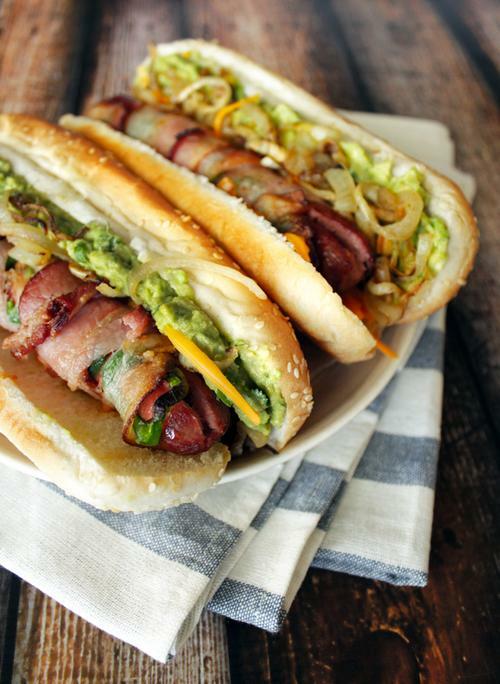 There are few things that can make a hot dog better and bacon is one of them. 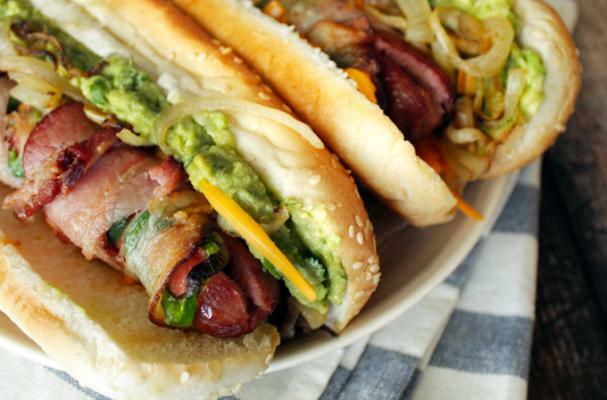 These bacon wrapped hot dogs have jalapeno slices tucked in between the two. You can add whatever toppings you like but this recipe suggests grilled onions and guacamole.